This page contains information about the Eurographics 2007 IPC Minisymposium which will be held in conjunction with the IPC meeting. If you have any further questions, please contact the chairman of minisymposium - Martin Čadík. We propose a new adaptive space deformation method for interactive shape modeling. A novel energy formulation based on elastically coupled volumetric cells yields intuitive detail preservation even under large deformations. By enforcing rigidity of the cells, we obtain an extremely robust numerical solver for the resulting non-linear optimization problem. Scalability is achieved using an adaptive spatial discretization that is decoupled from the resolution of the embedded object. Our approach is versatile and easy to implement, supports thin-shell and solid deformations of 2D and 3D objects, and is applicable to arbitrary sample-based representations, such as meshes, triangle soups, or point clouds. In this talk I would like to summarize our research on BCC lattices and highlight its advantages. We found it to have better numerical accuracy, as well as better perceptual accuracy. Further, it performs twice as fast for comparable ray-casting implementations. On the example of a Lattice-Boltzmann Method solver, we recently have also shown that the acquisition of data on the BCC lattice leads to a more stable solver with less dissipation than the Cartesian counterpart. Isosurfaces are ubiquitous in many fields, including visualization, graphics, and vision. They are often the main computational component of important processing pipelines (e.g., surface reconstruction), and are heavily used in practice. The classical approach to compute isosurfaces is to apply the Marching Cubes algorithm, which although robust and simple to implement, generates surfaces that require additional processing steps to improve triangle quality and mesh size. I will summarize some recent developments in computing high quality isosurfaces. First, I will describe an advancing front technique that is capable of creating high-quality isosurfaces from regular and irregular volumetric datasets. Second, I will describe a simple variation of Marching Cubes that generates drastically improved surfaces at very low cost. Joint work with Carlos Dietrich, Joao Comba, Luciana Nedel, Carlos Scheidegger, and John Schreiner. Barycentric coordinates are a fundamental concept in computer graphics and geometric modeling. I will present an extension of the geometric construction of Floater's mean value coordinates to a general form that is capable of constructing a family of coordinates in a convex 2D polygon, 3D triangular polyhedron, or a higher-dimensional simplicial polytope. This family unifies previously known coordinates, including Wachspress coordinates, mean value coordinates and discrete harmonic coordinates, in a simple geometric framework. Using the construction, we are able to create a new set of coordinates in 3D and higher dimensions and study its relation with known coordinates. This general construction is complete, that is, the resulting family includes all possible coordinates in any convex simplicial polytope. In this talk, I will present a technique for mapping relief textures onto arbitrary polygonal models in real time and describe some of its recent extensions. In this approach, the mapping of the relief data is done in tangent space. As a result, it can be applied to polygonal representations of curved surfaces producing correct self-occlusions, interpenetrations, shadows and per-pixel lighting effects. The approach can be used to consistently add surface details to geometric models undergoing deformations, such as in the case of animated characters commonly found in games. The technique uses an inverse formulation based on an efficient ray-height-field intersection algorithm implemented on the GPU. After presenting the basic technique, I will demonstrate some extensions to support the rendering of non-height-field surface details and proper silhouettes, a new class of impostors, and how to integrate the technique with existing applications in a minimally invasive way. The described techniques support extreme close-up views of the surfaces, mip mapping and anisotropic texture filtering, and have a very small memory footprint. The bilateral filter is a nonlinear filter that smoothes a signal while preserving strong edges. This filter is becoming ubiquitous in computational photography applications. By recasting it in a higher-dimensional space, we demonstrate that a large portion of the computation can be expressed as a linear Gaussian convolution with a well-defined bandwidth. Based on this result, we design a new practical algorithm several orders of magnitude faster than brute-force computation. 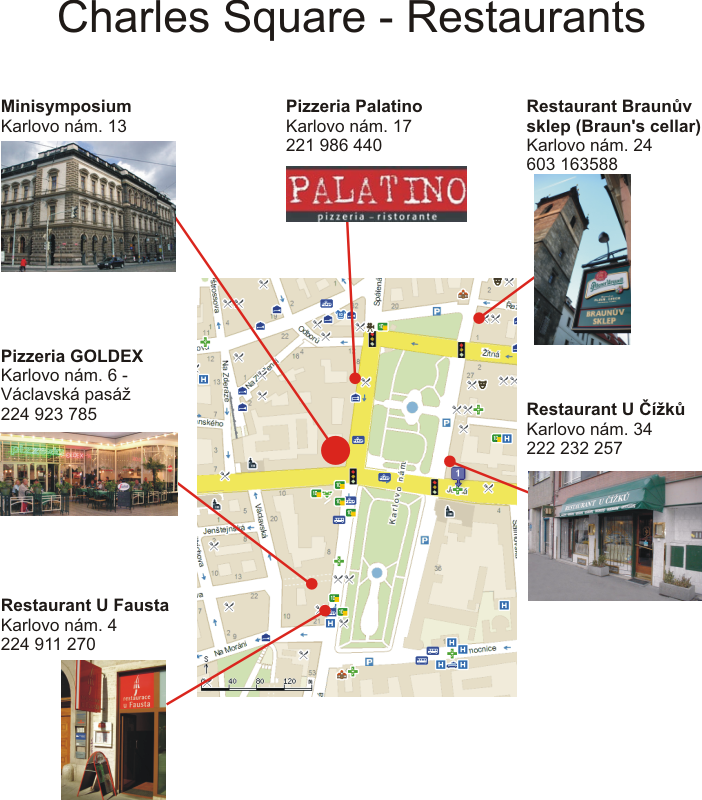 There are many restaurants nearby the Charles's square, we have selected some of them for you. We have reserved places in Restaurant 'Braunuv sklep' for speakers and we will pay their bill. I'll talk about two recent research efforts, both focused on increasing the interactivity of real-time rendering of translucent objects. Most existing real-time techniques for rendering subsurface scattering fix one or more parameters - the lighting, the 3D model, the scattering parameters, or the viewpoint. I'll briefly describe a BSSRDF editing system built on precomputed radiance transfer (PRT) techniques that allows the user to modify scattering properties (in addition to the viewpoint and lighting) during a real-time relighting session. The core idea is to derive an efficient 1D basis for the BSSRDF and project the transport onto that basis. I'll then turn to our work in real-time human skin rendering, which applies the 2005 multilayer model of Donner & Jensen for very realistic skin. We do not rely on precomputation at all and are thus applicable to deforming or animated meshes. The key innovation is the use of a GPU-friendly basis to dramatically accelerate the computation of diffusion profiles, applied with a rendering algorithm that combines and extends texture-space diffusion and translucent shadow maps. In this talk, we will review some of the recently developed large-packet coherent ray tracing techniques. In particular, we will investigate how these traversal techniques relate to the respective underlying acceleration data structure (kd-tree, BVH, grid, or octree), and how they behave with respect to model complexity, packet coherence, and dynamic scenes. We will briefly summarize the state of the art in this field, and end with a list of currently still-open problems. The development of high dynamic range (HDR) imagery has brought us to the verge of arguably the largest change in image display technologies since the transition from black-and-white to color television. Novel capture and display hardware will soon enable the mass market to enjoy the HDR experience in their own homes. The question remains, however, of what to do with existing images and movies, which are intrinsically low dynamic range (LDR). Can this enormous volume of legacy content also enjoy the benefits offered by HDR screens? We have carried out a series of rigorous psychophysical investigations to determine how LDR images are best displayed on a state-of-the-art HDR monitor, and to identify which stages of the HDR pipeline are perceptually most critical. Our main findings are: (1) as expected, HDR displays outperform LDR ones. (2) Surprisingly, HDR images that are tonemapped for display on standard monitors are often no better than the best single LDR exposure from a bracketed sequence. (3) Most importantly of all, LDR data does not require sophisticated treatment to produce a compelling HDR experience. Simply boosting the contrast of an LDR image linearly to fit the HDR display can equal or even excel the appearance of a true HDR image. Thus the potentially tricky process of inverse tone mapping can be largely circumvented. The EG'07 Minisymposium will take place on Saturday, April 14th from 9:00am to 4:00pm (including coffee breaks) in the K9 lecture room, CTU in Prague, Karlovo nam. 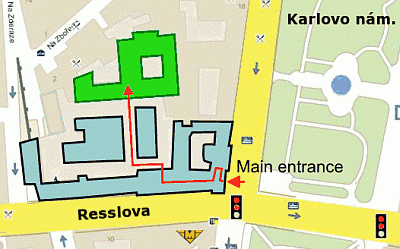 13, Prague 2 (see map). The talks are scheduled for 20+5 minutes each. If you have not done so yet, please announce the title of your presentation to Martin Čadík.